I have an enormous crush on Vichy’s Purete Thermale 3 in 1 Calming Cleansing Micellar Solution. It’s one of my all time favourite beauty products and definitely the holy grale of micellar solutions. 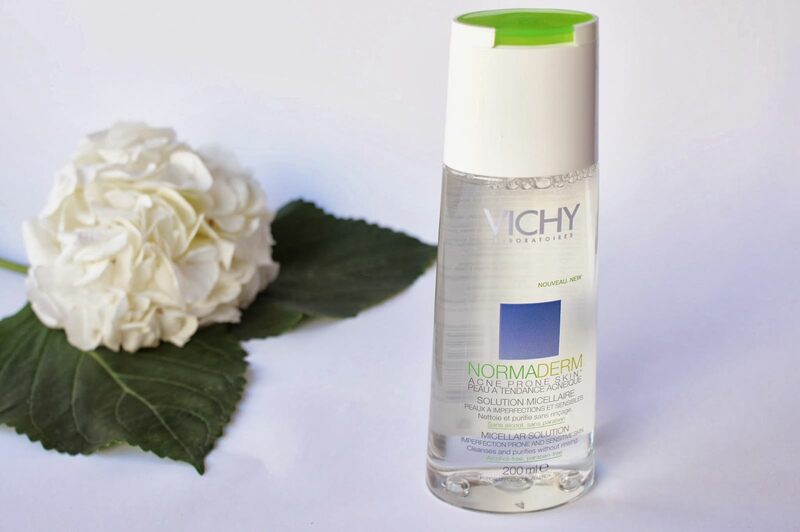 Vichy actually has another one – Normaderm Micellar Solution, which is a gentle cleanser and make-up remover for imperfection-prone skin. What they say at Vichy? 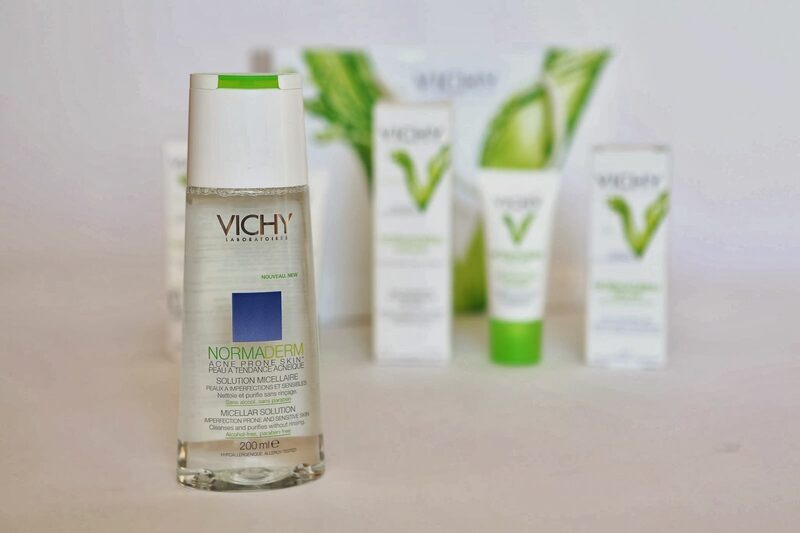 Vichy Normaderm Micellar Solution cleanses and purifies without rinsing. It cleanses impurities, sebum, make-up and soothes the skin. It’s perfect for men and women of all ages with sensitive skin. Skin is clean, purified and comfortable with no discomfort. This ultra-effective and ultra-gentle cleanser is enriched with zinc, and its micellar technology catches make-up and impurities without rubbing or rinsing. You can apply it in the morning and/or night on the face with a cotton pad. 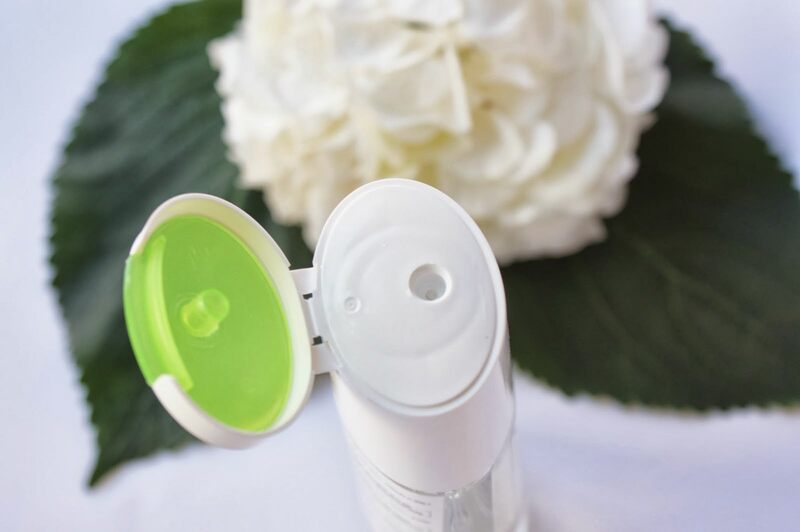 It’s tested under dermatological control; colorant-free, soap-free, alcohol free, paraben-free. Having so much love for the other Vichy’s micellar solution I was really excited about trying this one out, but a bit afraid It wouldn’t reach my expectations. The first thing I wasn’t sure about was the fact that it looked like it will foam a bit (I really dislike the L’Oreal one for this reason mainly). Luckily, it didn’t. It removes make-up as sucessful as the Purete Thermale one (not great when it comes to waterproof make-up), maybe even slightly better. I always use two cotton pads, each for one eye and press them on my eyelids for 10 seconds and then contniue with cleaning. My skin is completly purified and not irritated. As I mentioned in my previous posts my skin is normal with some occasional imperfectiones (+ some dry areas occasionally) and the product works great on my skin. My sister (has an oily skin type) loves it as well. The only thing I don’t like about this product is the scent, which is a bit strange (I cannot discribe it properly, but it doesn’t seem natural and it quite strong). So if I had to choose I would go for the Purete Thermale over this one – the only reason is the scent. However, for people with imperfection-prone skin this one will be amazing! Tale je preverjeno res top! We want to try it!! Am still to try Vichy..Am sure they offer great products..
Imam SonyA55 in večinoma objektiv 3.5-5.6/18-70 (ki je splošno kar uporaben) 🙂 Hvala za kompliment. Od Vichy nisem pa še nobene micelarne preizkusila. Sem pa že od parih slišala, da je/so super. V kolikor ti je Biodermina všeč, ti bo Vichy tudi zagotovo (meni je celo bolj). Se pa običajno bolj splača večje embalaže kupiti.